Oath has also canceled her show, The Morning Breath. ATLANTA: Coca-Cola has terminated its relationship with social media star Claudia Oshry, also known as the Girl With No Job, following reports of offensive tweets she posted years ago. "While we have recently worked with [Oshry], we terminated the relationship as soon as we learned of these disturbing tweets," a spokesperson from the brand said via email. "Coca-Cola stands for diversity, inclusion, and equality, and we do not condone intolerance or discrimination of any kind." In January, Oshry posted Diet Coke-sponsored content on her Instagram page. Screenshots of since-deleted tweets where Oshry makes jokes about Muslims have been circulating on social media since Wednesday. Some of the tweets date back to 2012. On Wednesday evening, Oshry posted a video on Instagram addressing the matter and apologizing. "Some really disgusting, vile, stupid tweets of mine resurfaced. I need to say how sorry I am. I was a dumb kid. I was 16, I thought I was being funny and cool on Twitter. It's not. I am not racist. I can’t believe I even have to say that," she said in the video. Oath has also canceled social media show The Morning Breath, hosted by Oshry and her sister Jackie Oshry, after a Daily Beast story from Wednesday accused them of concealing their relationship with their mother, a controversial author and TV pundit. 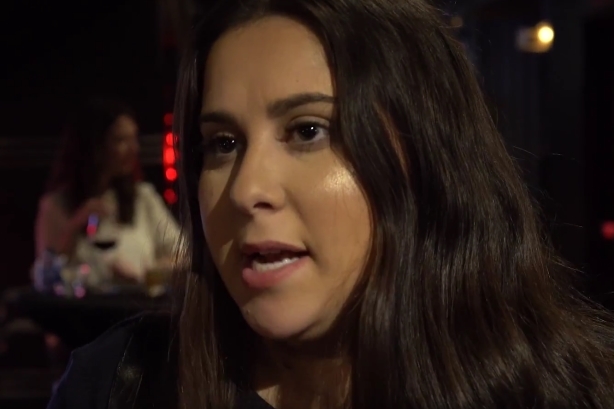 BuzzFeed reporter Julia Reinstein tweeted on Thursday afternoon that Creative Artists Agency and Brillstein Entertainment Partners confirmed that Claudia Oshry is no longer a client. She signed with CAA late last year. Should brands drop the Girl With No Job over years-old tweets?